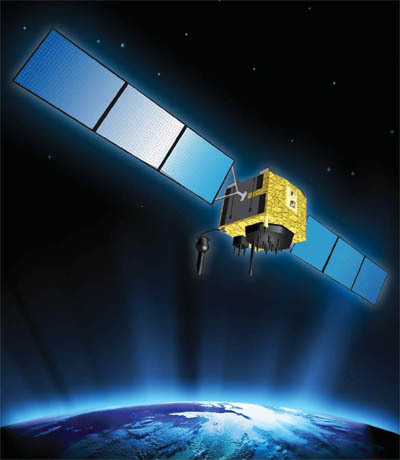 The Delta's flight will last three hours and 33 minutes from liftoff until spacecraft separation, firing its cryogenic upper stage in three different burns to reach an initial parking orbit and taking a two-step transfer route to reach the circular GPS orbit tilted 55 degrees to the equator. 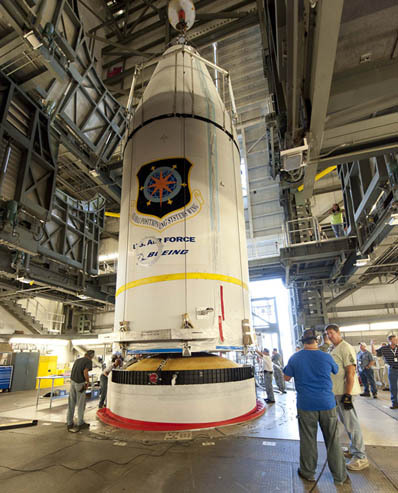 See a photo gallery of GPS 2F-3's preparations. 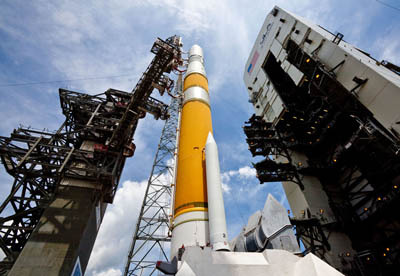 "The team has worked tremendously hard to get us to this point, and following a couple of final reviews, we are ready to launch GPS 2F-3," said Jerry Jamison, United Launch Alliance's vice president of launch operations. 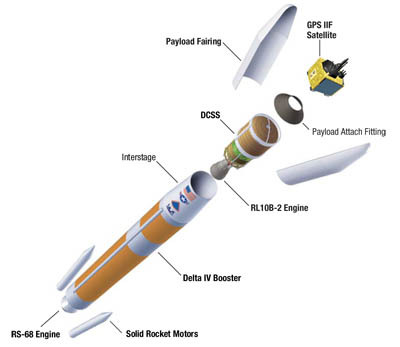 The Delta 4 will be taking its 21st flight and launching for the 9th time in the Medium+ (4,2) variant with a four-meter-diameter upper stage and payload fairing and two strap-on solid motors.